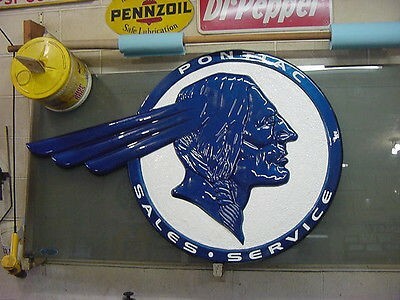 This 30″ by 60″ navy blue and white sign is for Pontiac Sales and Service. The text is written around the edge of the die cut Indian Head. This sign is cool because the Indian head has a 3D effect.